This week our guest is Cradle of Filth mastermind Dani Filth. We discuss the band’s upcoming North American tour, performing Cruelty and the Beast in full on select shows this year to celebrate its 20th anniversary, the challenge of fitting in a new album with the band’s current touring schedule, how he got involved with Bring Me The Horizon on the single “Wonderful Life,” running errands in full makeup and uniform, signing with Dez from DevilDriver’s management company The Oracle, his reaction to Iggy Azalea wearing a Cradle of Filth t-shirt and his lifelong love of Bad Religion. 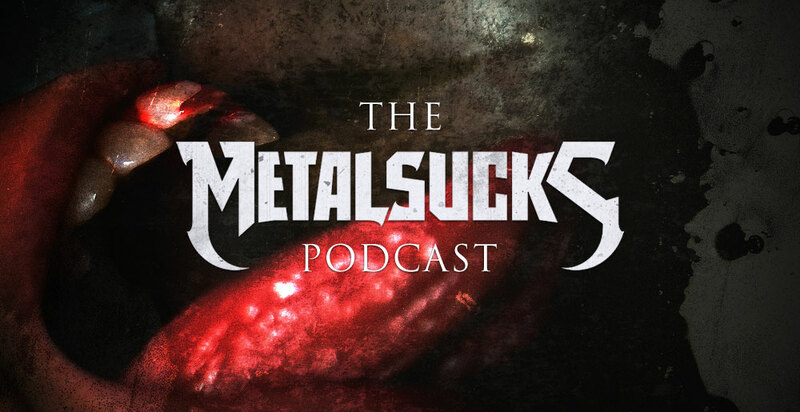 Petar, Brandon, and Jozalyn comment on Kiss’s alleged thievery of Motley Crue’s stage show, Phil Labonte describing fallen guitarist Old Herbert’s widow as a garbage human being, Paul Stanley’s 98-year-old father attending his son’s show, and the great comeback story of The Ghost Inside.